🤔 Kan et ekspertpanel holde Facebook i snor? 🤷 Er Twitter godt eller skidt for journalistikken? ⛓️ Hvorfor skal journalister gå op i blockchain? Og så gik det ellers stærkt. Facebook meldte til TechCrunch, at de havde fjernet app’en igen, men inden de nåede så langt, havde Apple blokeret den. Men ikke alene det, Apple har også blokeret for den adgang, der gjorde det muligt for Facebook at distribuere ‘Research’-app’en udenom App Store. Årsagen til det var, at den adgang kun er til intern test af apps – ikke ekstern brug, som Facebook havde brugt den til. Dette får ikke betydning for Facebooks almindelige apps, men det kan have voldsomme konsekvenser for deres test- og udviklings-setup, indtil de får bragt det i orden igen. Google just disabled a private iOS app that monitored users’ iPhone usage, after it was revealed today that the app violated Apple’s distribution policies in the same way that Facebook’s usage-tracking Research app did. Google har siden 2012 kørt en VPN-app med navnet ‘Screenwise Meter’ igennem Apple iOS. Brugere fra 18 år og op kunne downloade app’en via et såkaldt ‘Enterprise Certificate’. Med app’en kunne Google tracke brugernes trafik, mens brugerne som betaling kunne optjene gavekort. Så let spiller Google dog ikke. Apple blocks Google from running its internal iOS apps, skriver The Verge. …oooog så skal vi nok heller ikke glemme, at det sikkert også var rart for Apple at tale om noget andet end deres kæmpe sikkerhedsbrist i FaceTime. Despite what seems like a neverending barrage of privacy missteps at Facebook, users aren’t abandoning the social network. Instead, Facebook’s fourth quarter financial report show that it continues to grow, with the number of monthly active users jumping 9% to 2.23 billion during the quarter from the same period a year earlier. Hidtil har kun journalister haft adgang. Nu bliver akademikere og forskere også lukket ind. This is an interesting move – at a time where Facebook is under increasing pressure over how its data is being used, and misused, the platform has announced that its actually looking to further open up data accessto researchers and academics, by enabling them to apply to use its CrowdTangle platform trends tool. On Monday, Facebook released a draft charteranswering questions about how such an institution might function. Much of it is still undecided, but one thing is clear: To compare Facebook’s board to the Supreme Court is to minimize the sheer complexity of what Facebook is setting out to accomplish. The tool brings marketers on the platform one step closer to capturing an overview of the full customer journey, from the first touch point to conversion. Powered by Facebook pixel, the tool gives advertisers access to reports that include cross-device conversion data, purchases resulting from paid, organic and direct sources, as well as conversion and visit metrics by source. ProPublica, Mozilla and Who Targets Mehave all noticed their tools stopped working this month after Facebook inserted code in its website that blocks them. 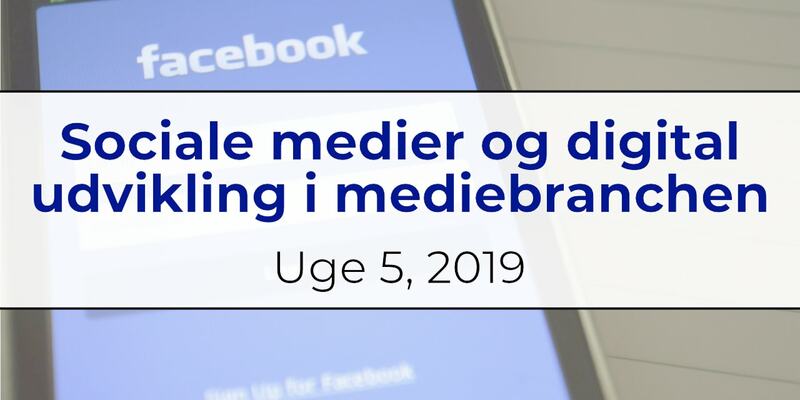 Ifølge Facebook skyldes det, at værktøjerne er i strid med deres betingelser. To mark Data Privacy Daythis week, Facebook has launched a new website which provides easy access to its data usage policies, and notes on how business users can protect, and respect, their audience’s information. The site is rolling out versions of its political ad archiveto international markets ahead of elections this year in Europe, India, Ukraine, and Israel, the company announced Monday. Less than a week after reports that Facebook plans to more broadly roll out end-to-end encryption across its messaging features, a trio of privacy experts who have criticized the company’s handling of user data in the past announced that they are joining the company. Roughly half of Instagram’s 1 billion users now use Instagram Stories every day. That 500 million daily user count is up from 400 million in June 2018. 2 million advertisers are now buying Stories ads across Facebook’s properties. YouTube is trying to reduce the spread of toxic videos on the platform by limiting how often they appear in users’ recommendations. The company announced the shift in a blog post on Friday, writingthat it would begin cracking down on so-called “borderline content” that comes close to violating its community standardswithout quite crossing the line. Den helt unikke ting ved Snapchat er, at det indhold, du deler, forsvinder igen af sig selv. Sådan bliver det muligvis ikke ved med at være. This week, Twitter has enforced tighter restrictions on its API use in order to limit the capacity of tools which allow “bulk and aggressive” following behavior, like following and unfollowing many accounts at once. Tools impacted include ManageFlitter, Statusbrew and Crowdfire. I den seneste tid har der været en debat på – blandt andet – Twitter om, hvorvidt Twitter ødelægger journalistikken eller gavner den. Matthew Ingram har samlet op. Less than six months into its launch, TikTok has quietly introduced an ad unit. On Jan, 26, the short-form video app that combined with Musical.lylast August showed an app install ad from food delivery company GrubHub. There are a heap of posts out there which outline tips on things you should start doing in order to maximize your social media marketing success, but in this piece, I want to look at some things that you should stop doing, immediately, to get your process on the right track. Det er altså vildt. Godt gået! Den tidligere nyhedschef fra DR, Naja Nielsen, skal fra april være digital direktør for BBC News. Hun forlader en stilling som chefredaktør for Orb Media i Washington DC. New job – new country. “Det er et forsøg på at komme tættere på kunderne og forstå deres behov. Vi tror, at vi på den måde kan opdage nogle nye behov eller muligheder for forbedringer, som kunderne måske ikke selv ser eller har erkendt. Det er ikke nok at nøjes med at spørge kunderne,” siger Lars Vesterløkke. Jeg er en af dem, der i mange år har opfordret de danske medier til at lære af arbejdet med den digitale udvikling – blandt andet ved at forstå brugerne bedre. Derfor er det fantastisk at se, hvad Ritzau er ved at sætte i gang. Godt gået! Bag projektet står en af mine tidligere kolleger, Søren Pedersen, som du måske kender på Twitter som @systemaddict. Today, we’ve been able to activate the landing page for this new service on Apple News running on iOS 12.2. It looks like the subscription service will be called “Apple News Magazines” and it will be associated to the user’s iTunes Store account, just like Apple Music. There are many mentions of “bundle subscription” in this beta, which makes us believe this can be a part of Apple’s plan to release an all-in-one media subscription which will include Apple Music, TV shows and magazines. Facebook feed casualties have piled up, from Little Things to Micto Cooking Panda. But for Attn, a 4-year-old social news publisher that once boasted a quarter billion video views a month on Facebook, the past year has been about adjusting on the fly and diversifying its business. The vibe is funereal. The era of BuzzFeed as a freewheeling, experimental online playground has ended. Longtime veterans — who helped define the site’s ethos as it grew into a global force and who seemed immune to layoffs — have gotten the ax. Hosted by Michael Barbaro, the new Flash Briefing specifically designed for smart speakers is about three-minutes long and is updated every weekday. For now, the show is only available in the US but is expected to arrive in the UK by the end of the month. Med hjælp fra en vækst på 30 pct. i det digitale abonnementssalg blev flere års nedgang i omsætningen vendt sidste år i JP/Politikens Hus – trods tab på ugeaviserne og en lussing fra finansmarkederne. Topchefen tror på, at stabiliseringen er mere end en engangsforestilling. I Ugerevyen fra uge 4 kunne du læse, at BuzzFeed fyrede 15% af medarbejdene. Hvad skal der så ske nu? Many different teams, including BuzzFeed Originals (home to quizzes, and birthplace of video stars such as the Try Guys), BuzzFeed Media Brands (home of Tasty and Goodful), Market (home of its commerce content), Branded Production and Publishing are all being grouped into a consolidated Content group, designed to better capitalize on BuzzFeed’s distribution. In an effort to reduce costs, Vice Media is restructuring its business that will focus on core brands and departments: long-form video production, news, digital media, TV and Virtue, according to a memo sent by Vice Media CEO Nancy Dubuc. Ifølge den seneste rapport fra DR Medieforskning er det 18 procent af den danske befolkning, der ugentligt lytter til podcasts. Læs mere hos DR. In the second quarter, Hulu will start placing static banner ads on a portion of the screen when people press pause while watching certain shows and videos on its ad-supported service. The ads will appear five seconds after a viewer pauses a video, in case a person paused simply to rewind or fast-forward. Digital ad fraud is a volume game. There are two core types: fraudulent ad impressions on any device, and click fraud — aka CPM and CPC fraud. Each type relies on volume, and that’s why there are a whole bunch of techniques used to drive large volumes of fraudulent impressions and clicks. That’s where the long list of confusing terms comes in — anything from click installs to ad stacking, and ad injection. Over the summer, The New Yorker told Slate its login issue was a bug that had been solved. But several months later, I was still seeing these tweets. So I decided to investigate further. Mozilla today launched Firefox 65 for Windows, Mac, Linux, and Android. The release brings simplified Content Blocking controls for Enhanced Tracking Protection, WebP image support, AV1 support on Windows, and the usual bug fixes and improvements. Mens blandt andre den danske regering blokerer for en løsning på digital beskatning i EU-regi, arbejder OECD på at lave en beskatning på globalt plan, der netop skal ramme digitale kæmpevirksomheder som eksempelvis Google, Amazon og Facebook. Oral arguments will begin tomorrow for one of the most important cases in internet law history. The case will be heard in a Washington, DC courtroom, as a group of net neutrality defenders squares off with the Federal Communications Commission in a legal battle to decide the rules of the web.